This 3 in 1 cleansing, toning and eye make up removing emulsion is extremely gentle and will remove 100% of dirt. 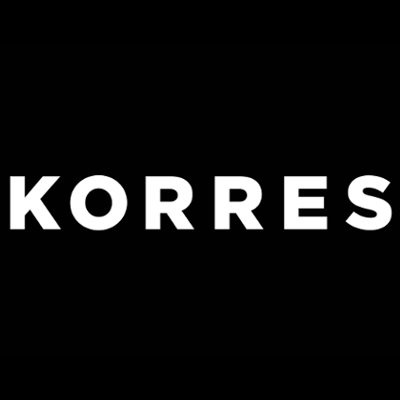 KORRES Milk Proteins will not irritate and also allows your skin to breathe. This delicious face cleanser is rich in vegetable oils and Milk proteins emulsion which will cleanse, tone and moisturise to remove all your face and eye make-up, sebum and dirt. The Milk proteins are rich in lactose and essential aminoacids which offer nourishing properties that form a hydrating film on the skin by bonding with the water molecules. 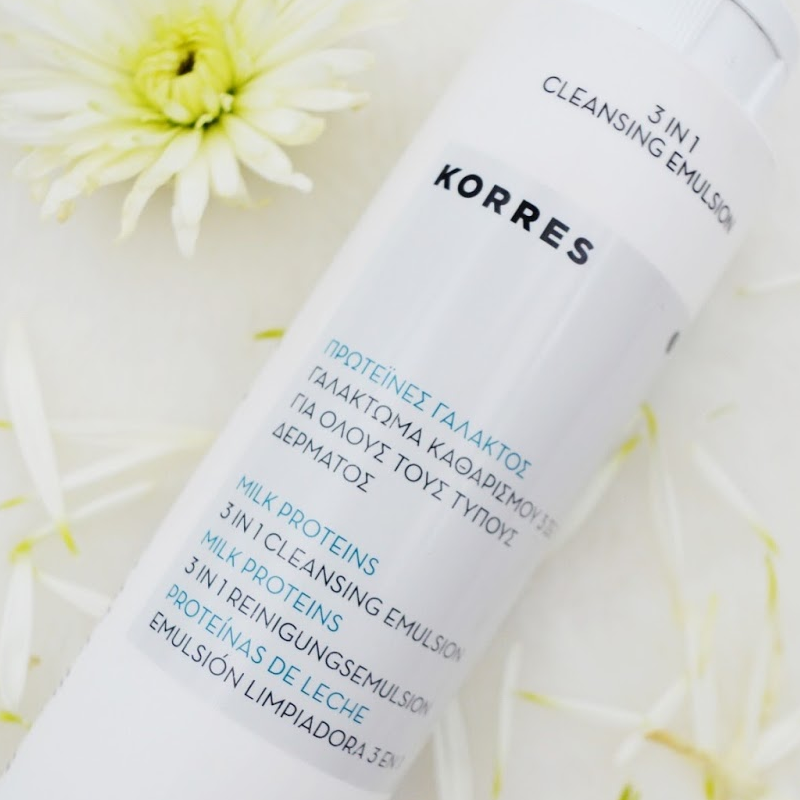 The Korres Milk Proteins 3-in-1 Cleanser Toner and Eye Make-up Remover is a cleansing lotion for all skintypes. 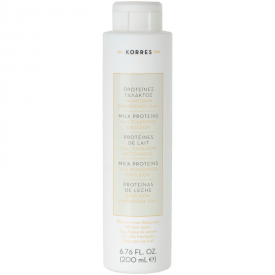 Rich in vegetable oils, this emulsion gently cleanses, tones and hydrates as it is being used. It will remove all traces of makeup and impurities from the skin, allowing it the breathe and be perfectly prepared for following treatments. - Milk proteins: rich in lactose and essential amino acids, they have a nourishing property and hydrate the skin by binding the water molecules to them as they cleanse. Rub gently into your face, neck and eye area, remove excess emulsion with cotton wool. Works as a leave on or rinse off cleanser. Ideal for very dry or dehydrated skin types that do not tolerate cleansing with water. Sadly this seems to be unavailable now whch is a shame as it is a lovely product. * It appears to be discontinued as when I tried to by it again everywhere said unavailable. This is a lovely rich and gentle almost all natural cleanser that I really liked but cannot find it anywhere now. "Sadly this seems to be unavailable now whch is a shame as it is a lovely product."